The German automaker BMW has launched the facelifted version of its luxury sedan model BMW 5 Series in India in four trim levels. This facelifted version comes with major cosmetic updates, especially on its front and rear ends. 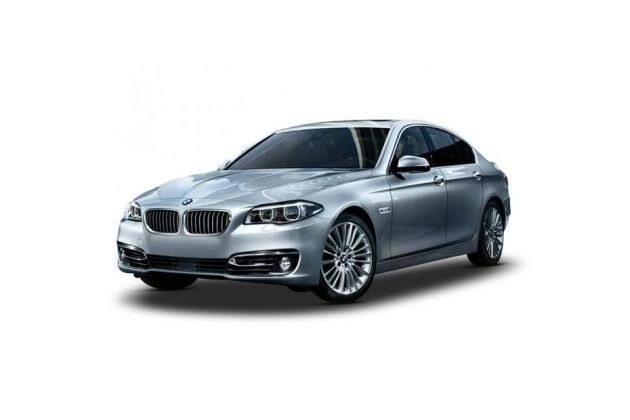 Out of four trim levels, BMW 5 Series 530d M Sport is the top end variant in this model series. This variant is equipped with a commanding 3.0-litre diesel mill, which is incredibly powerful in this segment. The company proudly claims that this engine can pick up a speed of about 100 Kmph from standstill in just about 5.8 seconds, which explains about its ability and powerful. The company blessed this vehicle with several advanced drive and transmission features such as cruise control, driving experience control including ECO PRO, Servotronic and lots of other aspects, which will enhance the driving quality and overall experience. On the other hand, the safety aspects of this vehicle are technically advanced and will assure top level protection to all the occupants inside the vehicle. This high end variant is incorporated with protective functions including Active Protection system including Attentiveness assistant, air bags, traction control functions and many such aspects. The German automaker has modified the exterior styling of its executive class sedan BMW 5 Series and made it look refreshing. The front facade of this luxury sedan received a re-treated headlight cluster that is now become more expressive with dual tone look. This headlight cluster has been incorporated with adaptive LED headlights that emits bright light and enhances the visibility ahead. The BMW signature Kidney Bean Shaped grille also gets a slight tweak and it has received chrome garnish. The company also made modifications to the front bumper, which is now inherited with a lot of sporty elements. There is a large air dam incorporated to this bumper along with a pair of radiant fog lamps. Coming to the side profile, this luxury sedan comes with double spoke type 18-inch 'M' alloy wheels that enhances the style and elegance. The door handles and the ORVMs have been painted in body color, while the door sills have been accentuated in chrome. Coming to the rear end, you can notice that that bumper has been retreated and incorporated with a wide chrome strip along with reflectors on it. The design of the taillight cluster also received a re-treatment that adds more style to the rear profile. The chrome garnished exhaust pipes and the prominent company logo fitted on the boot-lid compliments the profile and completes its new look. Coming to the interiors, the company has managed to give this sedan, a classy finish that has created a plush environment inside. The company is offering this particular variant with signature BMW M Sport Package that include sports seats for driver and front passenger, 'M' Leather Steering wheel with gear shift paddles and many other such aspects. The seats have been covered with premium Dakota leather upholstery and it has received exclusive stitching. The dashboard in the front row looks very sleek and is equipped with several advanced functions and utility based equipments. The cabin is blessed with ambient light along with Velour floor mats, dual zone air conditioner and various other functions. Apart from all these functions, this BMW 5 Series 530d Sports line trim is blessed with sophisticated BMW ConnectDrive functions that offers the assistance to the driver while providing ultimate entertainment to the passengers on the go. Inside this variant you will find a 25.9cm color display that has been incorporated with an advanced professional navigation system along with iDrive system with touch controller and integrated hard drive for maps and audio files. Powering this BMW 5 Series 530d Sport Line trim is the sophisticated 3.0-litre diesel motor that has been incorporated with six cylinders and 24-valves. This diesel mill can produce a displacement capacity of about 2993cc that enables it to unleash a commanding power of about 258bhp at 4000rpm, while yielding a mammoth torque of about 540Nm at 1500 to 3000rpm. This sophisticated diesel power plant has been skillfully mated with an advanced 8-speed sport automatic transmission gearbox that delivers the engine power to the rear wheels and delivers exceptional performance. Its rear wheel drive option will enable 50:50 load distribution, which will indeed enhances the drive quality. Both the front and rear wheels of this BMW 5 Series 530d M Sport trim has been equipped with disc brakes that ensures precise braking without any compromise. These disc brakes functionality has been further enhanced by an anti-lock braking system along with cornering brake control system that prevents the locking of wheels even when sudden brakes are applied. Furthermore, the power steering system is incorporated to this model, which will allow the driver to handle this vehicle with utmost ease, even in heavy traffic conditions. The comfort features offered with this top end trim are outstanding and they will provide utmost luxury like no other model of its class. The company has blessed this variant with a list of features that include an automatic air conditioner system with dual zone control, Floor mats in Velour, electrical glass roof, electrical seat adjustment with memory function, push button Start/Stop function, sport leather steering wheel with gearshift paddles and many other such advanced functions. This variant also comes with an advance BMW ConnectDrive system that includes several advanced aspects including BMW Apps, BMW Heads-up display, BMW Live, USB/Bluetooth connectivity, iDrive system with touch controller on 25.9cm color display, Harman Kardon Surround System are just to name a few. Coming to the safety aspects, BMW 5 Series 530d M Sport trim has indeed been offered with various advanced features that protects the occupants from major damages. The list of safety aspects include air bags, active front head rests, dynamic stability control, dynamic traction control, cornering brake control, side impact protection, warning triangle with first aid kit, anti-lock braking system and cornering brake control function. Also this variant is blessed with an advanced electronic vehicle immobilizer and crash sensor system. Pros : BMW M Sport package is impressive, astonishing appearance. Cons : Price tag is too expensive, mileage is very poor for a diesel engine.